Roaming around in the fancy streets of Dubai, one definitely feels the need of some handy meals which would help in maintaining the energy level required to explore more and more of Dubai. Now the question that arises here is what could be the easy-to-carry food which isn’t too much on the pocket plus full of nutrition too. Well to know the required answer we looked keenly through the most used street food Dubai. And to our surprise, the answer was: Salads. 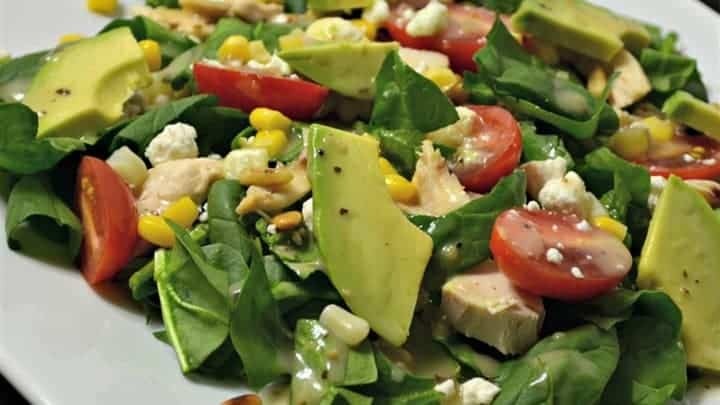 Salads in Dubai are considered as the most convenient meal and are no less in nutrition either. Tourists who set off on their journey through this city, keep numerous packs of salads purchased from different vendors spread across the city. Looking more deeply we got to know that the Avocado corn salad garnished with pine nuts is one of the most used salads by people here. Be it a local vendor or a fine bakery, everyone keeps a good stock of this salad due to its heavy demand. 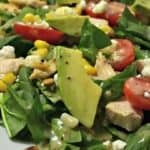 It’s a simple salad with even simpler recipe. Easy to make and a blast of enriched items on your taste buds, this salad is popular among everyone visiting Dubai, especially the young ones. In a shaker jar, place all the dressing ingredients, shake well and refrigerate until chilled. Prepare the salad ingredients and toss them with chilled dressing. In order to easily roast pine nuts, dry roast them in a warmed saucepan while stirring so they do not burn (be cautious as they burn in no seconds if not watched). Grill some chicken and marinate it in the salad dressing for an increased flavoured dish. So you see, this 10 minutes recipe is a handy experiment for those who want to save time and focus more on making the most of their trip to this wonderful city.